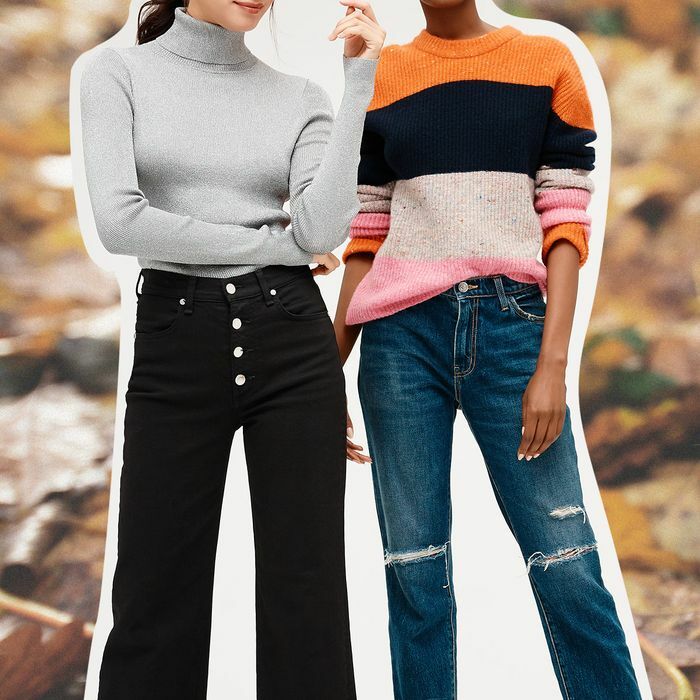 I can think of at least a dozen reasons why there's no wrong time to buy a new pair of jeans (nine times out of 10, you'll find me in high-rise denim and a crop top during summer), but I still end up purchasing the majority of my pairs in the fall. Can you blame me? There's simply no sweater, turtleneck, blazer, or boot style that looks less than 100% awesome paired with a cool pair of jeans. If you're thinking, "prove it," I'm already one step ahead of you. I may currently own 17 pairs of jeans (yes, I counted, and yes, I'm a little embarrassed), but these four I just found at Saks are the only ones I'll wear this season. Looking for foolproof denim outfits to wear for fall? Today I'm sharing the tops I personally think look best with each pair too. As for the rest of the outfit? You really can't go wrong, so I'll leave the accessorizing up to you. 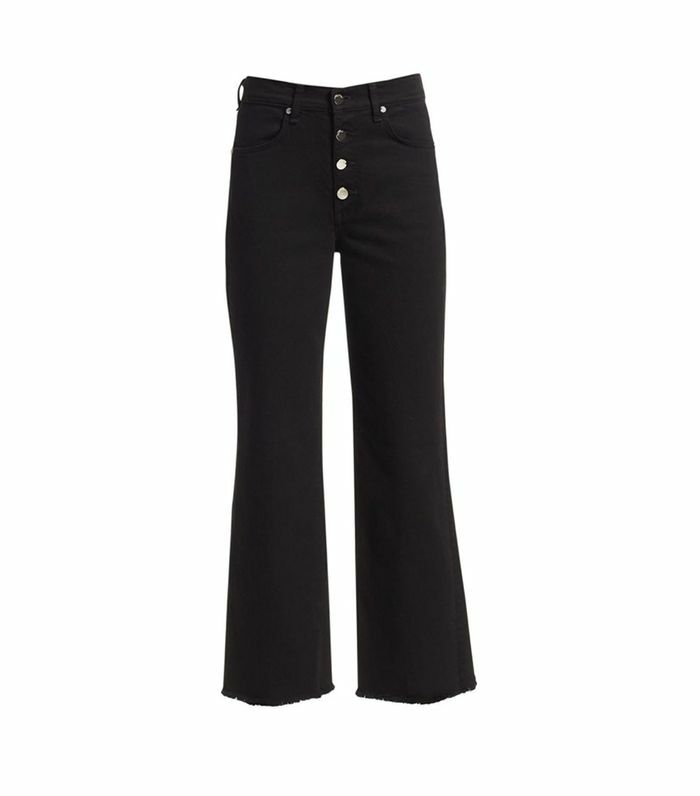 Cropped flares are my favorite style to wear during cooler months because the shorter and wider leg is perfect for showing off all of my ankle boots. (I may have gone a little crazy on the Western boot trend—sue me.) This black pair worn with this subtly festive turtleneck (the thread is a sparkly Lurex) is an ideal canvas for all those over-the-top accessories you're not quite sure how to wear. Skinny jeans are great for two reasons: 1) They work with every shoe style, and 2) they're universally flattering (IMHO, at least). I like that this 7FAM pair features a distressed hem at the ankle to keep things interesting. I'm personally planning to wear them with this super-soft knit and classic wool blazer. I'll probably add some printed pumps or ankle boots, but you do you. This single pair of jeans checks off every last quality that make a denim cooler than the average: the slightly baggy fit, the vintage wash, the distressed knees and ankles, and the plaid patches underneath. What I mean to say is that when the jeans are already this good, sticking to a simple (albeit cashmere) black sweater is the move. Don't fight it.